If you've seen all of the goodies included in the January 2015 Hip Kit from Hip Kit Club, then you know it's filled with lots of amazing products! 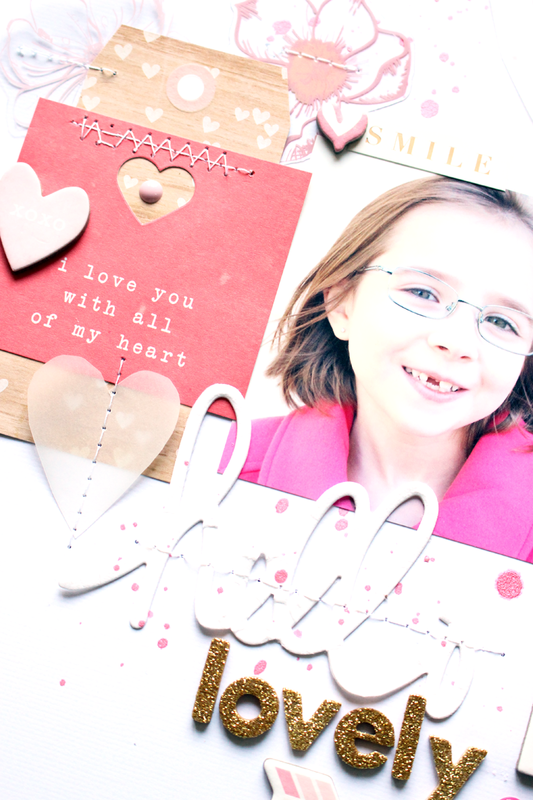 This month's Kits work great for Love/Valentine's layouts. 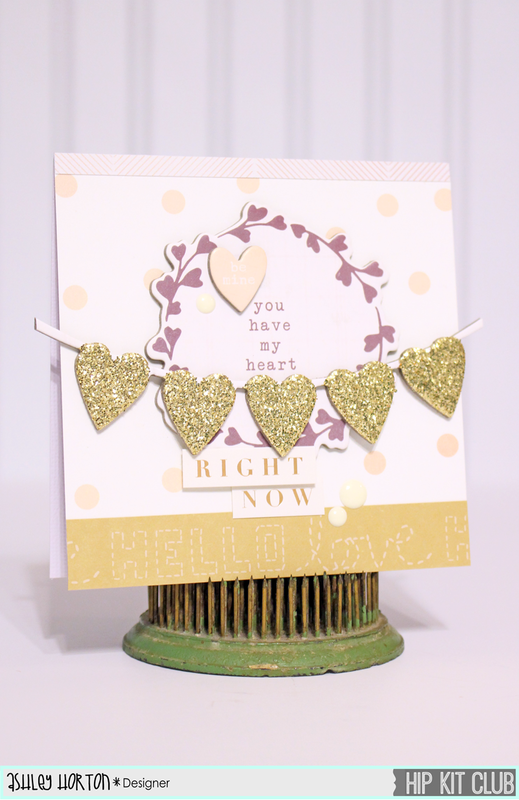 I am stopping in today, to share a new layout and card using this month's Kits! 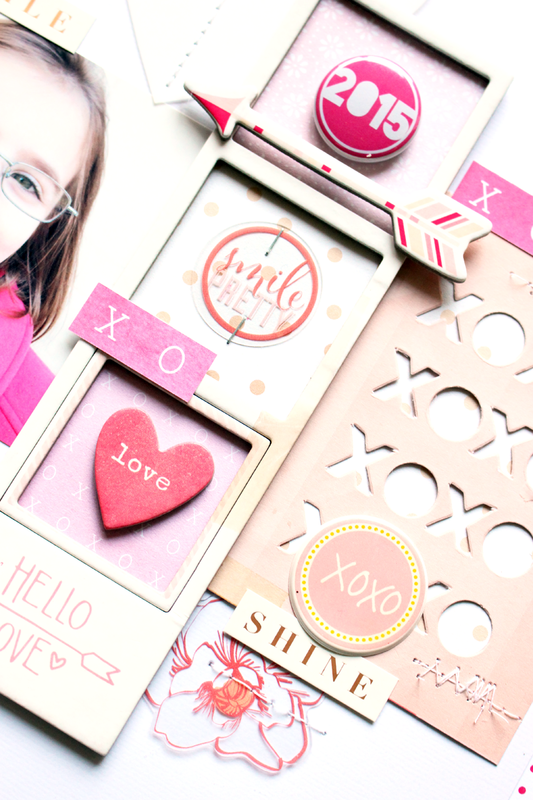 First up, I'm sharing a pretty in Pink layout, using the January 2015 Hip Kit & Add-On Kits. The Crate Paper Chipboard Frame was the initial inspiration for my layout design. How cute is it filled with bits and pieces from the January Hip Kit!! I layered some of the journaling cards from the Crate Paper sheet included in the January 2015 Embellishment Kit. All of these elements created a soft look on my layout, and I also wanted to incorporate the American Crafts vellum into my design. I hand cut three heart shapes from the vellum, and then adhered them by adding machine stitching. I think it's always fun to find a color scheme in your Kits and work with it on at least one layout! I'm sure you can find several different options in your January 2015 Hip Kit & Add-On Kits!! The January 2015 Hip Kit & Add-On Kits, offers a great variety in colors! I love that you can create a project using bright pops of color, or projects with a muted color scheme. I used a mix of Kraft and Gold papers and accents on my quick and easy card. And the Crate Paper Chipboard pieces are perfect for adding a touch of dimension to your cards. The February sneaks and reveals for the February 2015 Hip Kit & Add-On Kits, will be coming up soon! Make sure you keep an eye out on the Hip Kit Blog, Instagram and Facebook page!